Angeline C & Paul Ho (iCompareLoan.com) 29 April 2017. Imagine living in a nice condo and yet not having the cash to travel or worrying about your debt for your car loan. This is a real scenario in Singapore where the home ownership is high at about 90% and yet people grumble at living expenses as they fall in the category of being asset rich but cash poor. This could be worrying if you are nearing or already in retirement and have limited window of time for income generation. Example an elderly couple living in a landed home, who have used up much of their savings and worrying about their dwindling cash. If you have a spare room, you can rent it out for income. But not everyone is prepared to give up their privacy and live with a stranger. So, how do you monetise your asset? A possible way to raise funds is to via cash out refinancing. Cash-out Refinancing means getting a loan with your house as the collateral. Your intention is not to sell the house but rather to raise funds. This is an attractive option for some as the interest rate is typically low, comparable or lower versus a plain vanilla home loan. And it allows you to raise a significant amount of cash. Due to the attractive interest rate, this is an option not only for people who are need cash for example for their retirement but also for those who want to refinance higher interest cost uncollateralized loans like personal loan or car loan, which come at far higher interest rates. You could also use some cash to tick off items on the bucket list like starting your own business or going for a long holiday. Cash-out refinancing applies only for private property, whether fully paid or still financed with a mortgage. Be prepared to pay for property valuation and legal fees. The loan is based on current property value. You need to wait for a few months for the application process to complete. 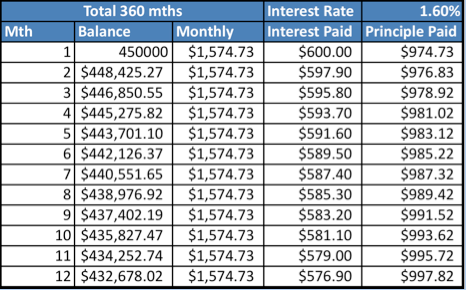 75 years – current age – number of years you have spent servicing the loan. X varies from 60% to 80% depending on whether you have more than one mortgage or not. 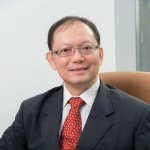 Mr. Tan, 60, owns one condo valued at S$1 million. This was financed with a bank loan with an outstanding amount of S$350,000. Assuming CPF was not used. Due to the weak investment climate, his cash and investments has dwindled to S$100,000. While Mr. Tan is still working, he is looking to slow down and take a break. Thus, he is considering to monetise his asset via cash out refinancing. However this scenario is subjected to some level of income proof and servicing ability. Cash Out Equity-term-loan for $450,000 will likely be for only 15 years. That means that this person will still need to pay it back on a monthly basis that works out to be $2813 per month for 15 years. This is not free money and he has to pay this loan back, all of it by 75 years old. What is a smarter way to RETIRE? What Mr. Tan could do is, bring in a younger person, maybe his son or daughter to become guarantor to extend loan to maybe 30 years, provided his leasehold property still has value. This $450,000 over 30 years will mean a low loan repayment. Assuming Cash Out Equity-term-loan interest rate @ 1.6% and he/she buys a selection of REITS ranging from 4% to 10% and some endowment plan at 3% and some longer term land investments that pays. Let’s say Mr. Tan gets a blended yield of around 5%. The net yield spread is approximately 5% – 1.6% = 3.4%. 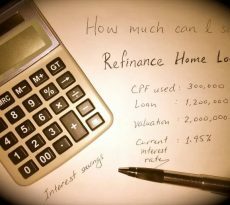 Refinance Home Loan using Cash out refinancing. The repayment on $450,000 is about $1,574.73. If $430,000 out of $450,000 is fully invested in products that gives a 5% annual return that would pay out $21,500 per year. That would work out to an estimated $1,791.67 per month. $1,791.67 – $1,574.73 = $216.94 per month. After 30 years, if you are still around, you will have paid up your $450,000 of equity-term-loan as well as still have an asset value of $430,000 of REITS that will continue to pay you $1,791.67 a month. What is better still, some of these REITS might have risen in value too. If you are younger, say in your 50s, you can set aside money from this Cash-out Equity-term-loan to invest in longer term assets such as Blue Chip shares, overseas properties, endowment products, insurance products with cash value, land banking (from a reputable provider) and many more, to further enhance your returns. Ultimately, cash-out refinancing is still a loan that needs to be serviced. The loan amount is significant so do bear in mind to use the cash carefully and best is to have proper diversification to reduce the risk of loss of capital from any single investment. Do make sure it is suited for your needs. 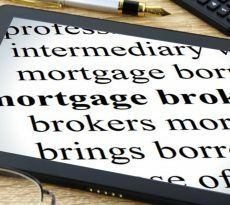 For more information on this, you can contact a mortgage broker to help you in this process, click here. What’s Your Criteria for a Dream Home?